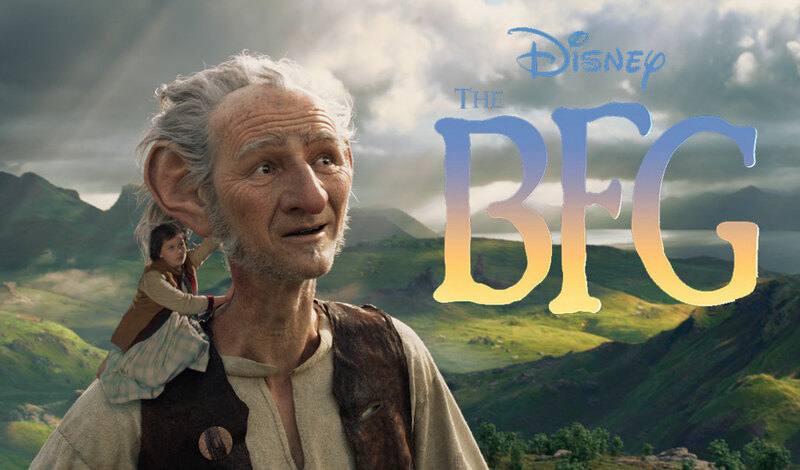 ‘The BFG’ is Disney’s kid-friendly adaptation of the Roald Dahl classic about a young girl who sets off on an adventure with the Big Friendly Giant in order to capture the evil man-eating giants that continue invading the human world. The only thing that interested me in this film was the return pairing of director Steven Spielberg and 2016 Best Supporting Actor winner Mark Rylance who previously worked together on 2015’s Bridge of Spies. With Spielberg attached to this film i expected to experience that Spielberg magic feeling once again similar to 1982’s ‘E.T’. Unfortunately this turned out to be a very disappointing film with a slow dragging pace and an unengaging story. But it did have some redeeming qualities that allowed me to survive through the film. The biggest praise i can give this film is that visually it is an incredibly beautiful looking piece of cinema. Not that anyone was expecting anything less. The effects for the giants and the world of the giants was a perfect blend of fantasy and realism so that you didn’t feel like you were watching an animated film, and the motion capture of Mark Rylance really helped that. Even the scenes where the BFG was interacting with the human world were very effective where they could have easily turned out to be very jarring and distracting. But everything in this department was handled very well, so credit where credit is due. I thought Mark Rylance put in a stellar performance as the BFG as he was nearly recognisable whether it be through his looks, voice, or actions he did a great job at transforming into this very odd and unique character. Some of the dialogue his character was given and his interactions with the young Ruby Barnhill offered some moments of intrigue in the film, especially in the second half. Ruby Barnhill also does a fine job as the orphan who is thrown right in the middle of an ongoing ‘giant’ dispute. Being pretty much the only human element for almost the entire film she did a good job to ground the film and play against Rylance’s character really well offering some decent back and forth interactions and a tad of good humour once or twice. But unfortunately that is where the praises stop for this film. I found it really hard to get invested in the plot of this film as the really slow moving pace made it take forever to actually get going. And once it does it was more of a cluttered mess as oppose to a story that flowed nicely from start to finish. The focus of the film swapped many times throughout the film as it switches from developing character relationships, to focusing on the giant feud, to looking into dreams, and it just got too much by the end of it. And all the while it just felt like it was chugging along, taking forever to get places and even momentarily boring at times. It lacked that Spielberg magic that the trailers definitely eluded to and was present for the first 5-10 minutes of the film. Without that i lost intrigue and had to try really hard to find something in the film to hold my interest. Thankfully Rylance was that light to get me to the end of the tunnel. So in the end ‘The BFG’ is a disappointing family fantasy/adventure film that kids may get a little more of a kick out of if the multiple fart jokes in the film were anything to go by. Maybe not for kids too young though as there is some scary imagery in here. Mark Rylance was the highlight of the film as well as the stunning visual effects for the giants and their world. There are definitely more fun and entertaining family friendly films out there so i’d say give this one a miss this time.